The latest statistical data report of CAAP (Civil Aviation Authority of the Philippines) has shown a steady increase of passengers for the past five years, all thanks to the rise of low-cost airlines which makes flying to different points of the country possible to every Juan. But despite this development, some airports are in dire need of expansion; they can no longer handle the huge influx of passengers. A perfect example for this predicament is Cagayan de Oro City's Lumbia Airport. Runway: (Asphalt) 2,454 meters (8,050 feet). Aboard AirPhil 2P 253 (DVO-CGY) flight. Preparing for final approach. Photo by yours truly. 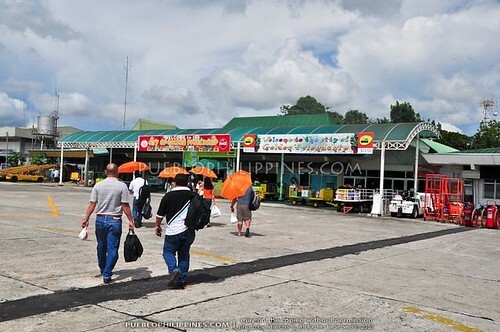 Lumbia Airport is the busiest airport of Misamis Oriental and serves as the primary gateway of the region. Several airlines serve flights from Manila, Cebu, Davao and most recently, Iloilo, Tagbilaran and Zamboanga. Believe it or not, this seemingly small airport had already served 1.35 million passengers last 2010. I have been to Lumbia Airport last year and I can truly say that the airport's really small. The baggage carousel that time wasn't working at all! Last April, my friend, Dan had an early morning flight to Manila via Philippine Airlines. There were so many people that time that the x-ray machines had gone berserk. X-ray personnel had resorted to manual checking of the baggage. With that, security has been compensated. 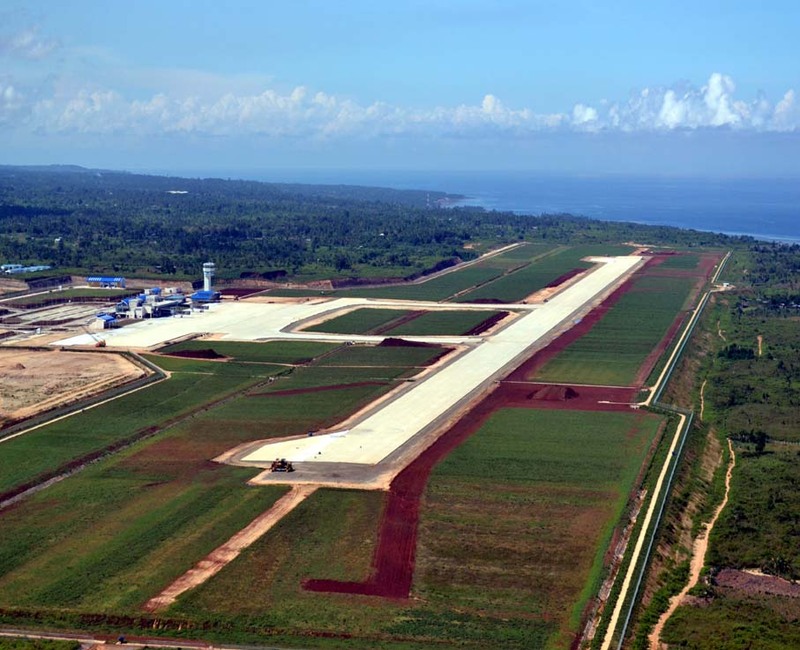 For the past decade, the local government of Region 10 has been eyeing for a possible expansion of Lumbia Airport. But due to its location (the airport is located on a hilly part of the city, which is an unideal location for an airport), expanding Lumbia seemed futile. Thus, they resorted of buliding an airport on a vast flatland in the municipality of Laguindingan, Misamis Oriental located approximately 50 kilometers away from Cagayan de Oro City and approximately 50 kilometers from Iligan City, Lanao del Norte. 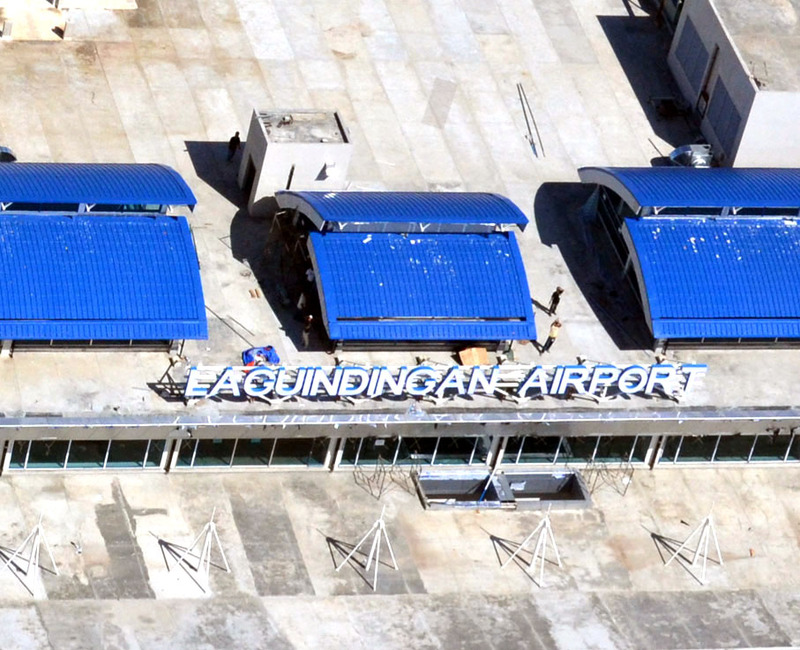 Laguindingan was considered to be the perfect location of the new airport which was funded by then President Gloria Macapagal-Arroyo. 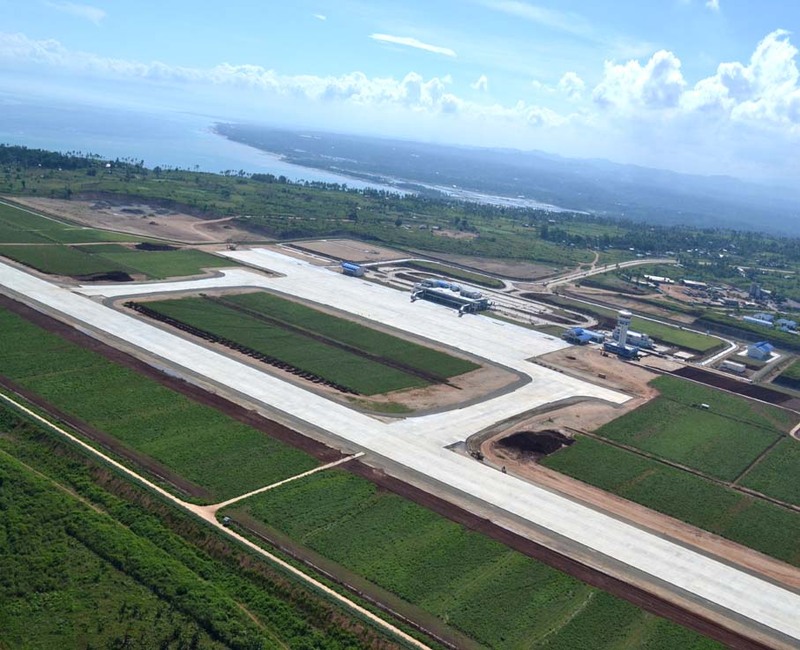 The Laguindingan Airport Development Project cost approximately Php 7 Billion in which a portion of it was loaned from an international bank. The planning started way back in Triassic Period, when the supercontinent Pangaea was still intact, but the construction of it commenced five years ago. There were so many issues back then. The new airport comes with a single 2,000 m x 45 m meter concrete runway, a new terminal building with two jet bridges, a new control tower, a fire department building and two taxiways. Its apron can handle five Airbus A320s at the same time. The predeparture area of the airport offers a splendid view of Macajalar Bay. Pilots will be happy as the approach procedures of Laguindingan Airport will be a million times easier than Lumbia. Lumbia is surrounded by Bukidnon's towering mountains, specifically near Runway 01. More so, due to its location, Lumbia is prone to fog and windshear causing delays. Laguindingan Airport has no physical obstructions and sits only a few meters above sea level. 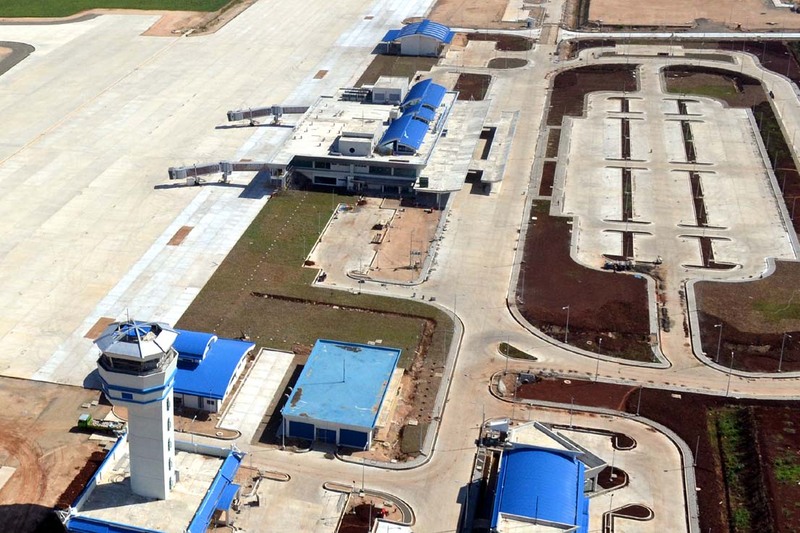 As of today, civil works of the airport are almost complete. They are currently installing runway and taxiway lights and other navigational instruments essential to the airport. 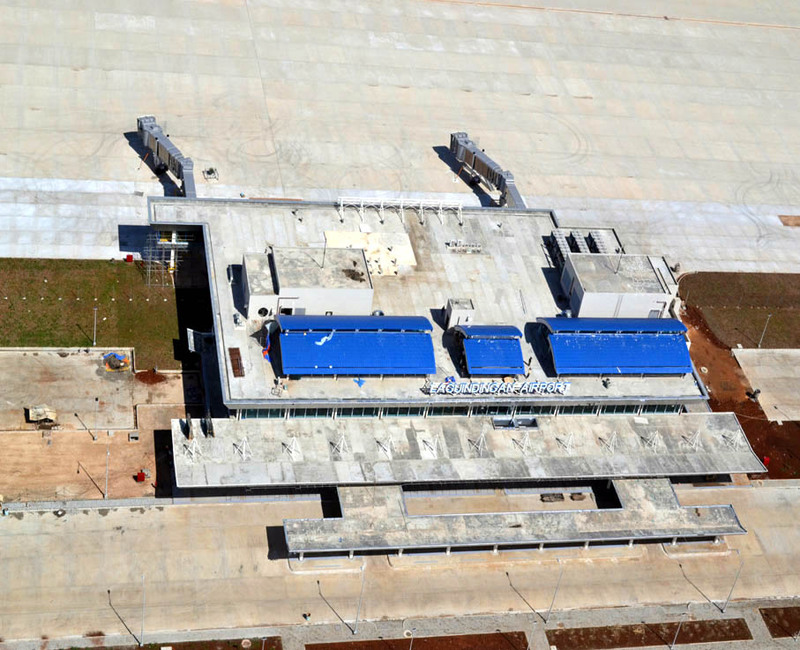 Laguindingan Airport is expected to open in late 2012 or early 2013. Well, as for Lumbia, it will serve as a military airbase of Region 10, similar to what happened to the old ramp of Davao International Airport. this is a great news for CDO... Pero sana at least 3 bridges for A320 ang ginawa just like Iloilo since maraming airline naman ang nag-seserve sa CDO. Parang bitin kasi ang 2 aerobridge. Gano sya kalayo from CDO City? 50KM is quite far. Yup, mukha namang me spaces pa from both sides for airport expansion. 1 hour from CDO, mukhang malayo ha... sana maraming transpo options once na mag-open sya. That's good news. though infrastructures presently are quite small but there are still wide spaces open for future improvements. 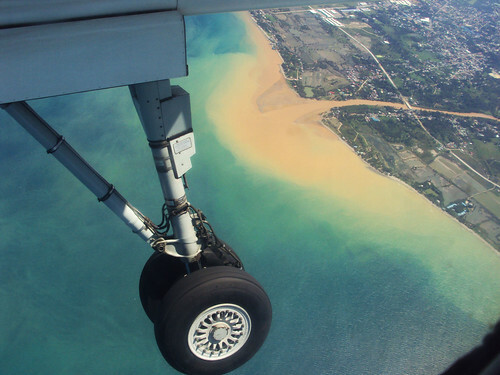 the place also offers safer for airlines since there are no potential safety threats even during rainy season. The place is not that far from CDO since CDO-Iligan City is only 80km apart and laguindingan's distance from the city is not even halfway. Time travel differs greatly between periods due to traffic. Ok na as for the moment ang 2 aerobridges ksi PAL lng ang mostly gagamit nyan. Bihira lng gumamit nito ang mga LCCs as part sa cost-cutting measures nla. I know right! And I believe na mas comfortable talaga tung airport na to kesa Lumbia. I'm sure a lot of passengers will love this new airport. I am glad there is a lot of space for expansion because I am certain that Northern Mindanao will grow exponentially in the near future. And Laquindingan Airport will play a vital role in this transformation. I just hope there would be shuttle buses that will ply the area. Otehrwise, taga sa taxi. As it is now, P350 ang taxi from Lumbia to CDO downtown. I hope by the year end of 2012 tapos na ang Laguindingan Airport. I hope also they will change the name from Laguindingan to Northern Mindanao International Airport (NMIA) so that it is easier to recall/remember the name because it is situated in Region 10 w/c is Northern Mindanao. sana ok ang mga facilities sa loob ng airport, most especially ang mga pushcarts...na hindi lang mga porter ang mga may hawak at kelangan mo magbayad ng 100-200 pesos para lang maisakay ang mga bagahe mo. we understand they need it for a living pero not now sa isang international airport.. sana mag implement ang norhtern mindanao ng rate ng taxi, sobra na kasing managa ng pasahero mga taxi sa cdo. porque ba sumakay ng plane marami ng pera? sana i-briefing nila ang mga taxi operators.. at ang security sa loob at labas ng airport, dami kasi labas masok jan sa lumbia kahit hindi pasahero. naalala ko lang, hindi na chine check ng guard sa arrival area ang mga tags sa bagahe. diba kaya nga sila itinalaga dun kasi yun ang work nila. ayun nagtetezt lang, kwentuhan sa kanyang mga kasama.dapat i-train ng maigi mga staff nila na pang international level para di tayo mapahiya. maraming beses na ineschedule ang opening ng laguindingan airport mula pa nuong 2010 pero hanggang ngayon wla pa rin. balita ko mura daw ang bentahan ng cemento dyan. hindi malaki yung building, dapat malaki yan kasi international aiport. pero pwede na rin, sayang lang ang laki ng space. AGAIN, this is NOT an INTERNATIONAL AIRPORT since there are no international flights serving this airport. I thought its an international airport? Ive been waiting for the airport to open since last year, and also hoping they carry international flights too. Been planning my trip to the PH. Anyways thanks for the update! Now that this airport is opened, would you please write another blogpost about the airport? Pretty please? I'd like to read your thoughts regarding the safety of an airport operating under VFR. You know, in an ATC's perpective. I've heard so much about "sunset limitation" in this airport. Kudos! Flights operating in and out of Laguindingan is perfectly safe. VFR flights are practically safe. Although it's only limited since pilots maneuver the planes through visual (what their eyes can see). If the visibility is poor, then VFR flights are suspended because pilots can no longer see the airport. More so, when flying IFR (instrument flight rules), planes can practically fly from day to night, it's because their flight's been guided by instruments like DVOR, NDB, DME, ILS, Localizer etc. My Cebu Pacific flight from Manila last month turned back to gate while we were taxiing to the runway. Pilot announced that we could not land in Laguindingan because of sunset limitation and NAIA congestion. We were booked on the next day's first flight and got offered free hotel accommodation and hotel transfer. A lot of people, including I, avoid to take late afternoon flights to CDeO. Hi Joseph! Yep, I have witnessed that one when I was on duty at Manila Tower. It was almost 5 in the afternoon and the Cebu Pacific flight to Laguindingan was still on the taxiway, waiting for its departure clearance. The pilot then decided to go back to the ramp due to sunset limitation. I was also wondering why the government had opened this airport, when in fact it doesn't have any navigational aids. Tsk.